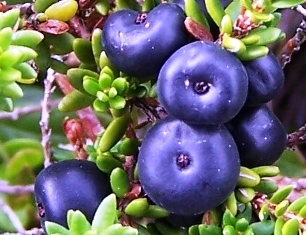 Black crowberry is a fruit of the coldest regions. It grows in Alaska, across the Yukon Territory and Canada to Labrador, Newfoundland and Greenland. 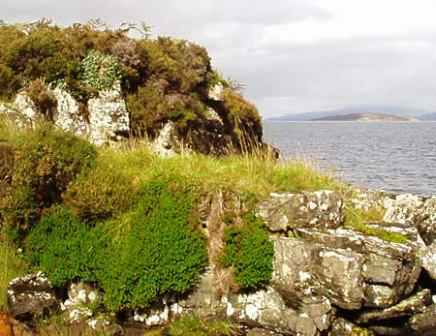 Black crowberry is also widely distributed through out Northern Europe. 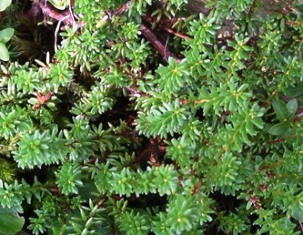 This plant mostly grows in acid peat lands, cold coniferous forests and acidic rocky slopes. An evergreen perennial creeping shrub upto 15 cm; branches green, brown, or reddish, distally glabrous, eglandular or glandular, sparsely white-tomentose, upto 40 cm long. Leaves divergent, becoming reflexed; lamina 2.5-7 mm. Flowers unisexual or bisexual (plants synoecious, sometimes polygamous, or dioecious); sepals greenish pink becoming reddish purple. Fruit a black, opaque black berry like drupe with 6-9 white nutlets, 5-10 mm in diameter, edible but insipid. Black crowberry fruits edible. These berries can hang on the plant all winter. The Native Americans gather these persistent berries buried beneath the snow and use them. As the raw berries are small, mealy and often considered tasteless when eaten alone so these are often mixed with other berries or cooked into jelly or pies. 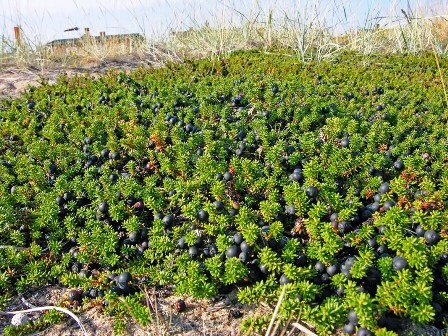 In Lapland, crowberries are used as an extender for blueberry products and as a coloring agent. Crowberry is very high in vitamin C and other antioxidants and has significant medicinal properties.